Consumer behavior is motivated by thoughts, feelings and beliefs. These motivations can persuade a person to make a purchase, refer a service or choose a competitor’s product. Each consumer’s decision can be influenced by his awareness of a brand, his immediate environment or his actions with relation to the product. Awareness, environment and actions are important to understand, because they are the foundation of influence and conflict in consumer behavior motivation. Marketers and business developers need to consider these elements to reduce the effect of conflicting motivations, create value for the consumer, design effective marketing communication campaigns and generate profitable solutions. A consumer’s environment can include any related factor she perceives about her surroundings. This can be as simple as the design of the store or product packaging, price information, the brand name or advertisement. A consumer’s environment can also include comments from other customers, website designs or even social expectations. 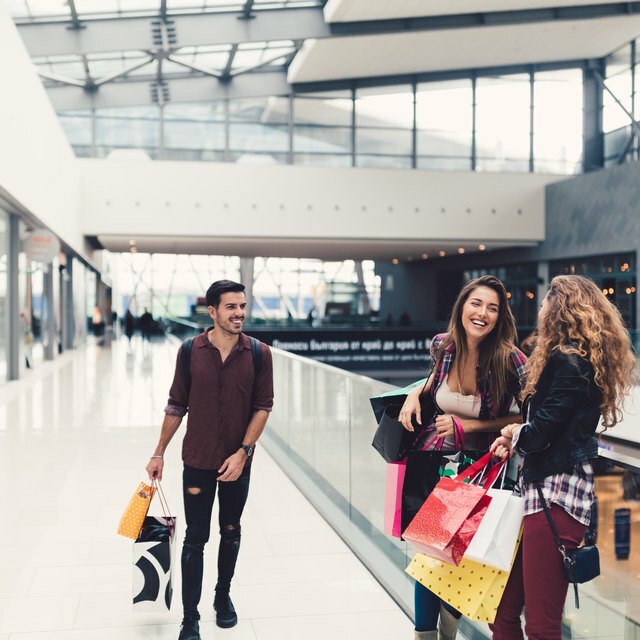 Environments carry a lot of weight influencing conflicts in consumer motivation to make a purchase, and marketers need to understand that environments can stimulate different consumers to take different actions. For example, a business may try to motivate consumer purchase behavior through promotions or attractive packaging. However, a customer’s motivation may be influenced by a friend that expresses a negative experience with the product. In addition, poor customer service may discourage a customer from purchasing, regardless of her need for the product. This reveals the conflicting problem with considering only promotion or price as a motivator. The immediate environment is dynamic, and can cause unpredictable conflicts in consumer behavior motivation. Consumers can be motivated by existing beliefs, knowledge and past experiences with a product. If this awareness level is not consistent and positive, attitudes toward the brand may cause consumers to choose another product. The conflicts caused by product awareness also stem from the limited attention given in consideration of the product. Therefore, awareness and positive experiences may not always lead to future consumer purchases. For example, consumers can potentially view hundreds, even thousands of advertisements and messages each day. This notion alone can cloud awareness, beliefs and even memory about the need for a product or service. Motivations can be diluted simply because a consumer’s memory has a limited capacity to receive, prioritize and process messages. Marketers can be deceived into thinking that past performance and positive experiences will lead consumers to prioritize their product for future purchases. Awareness and beliefs can conflict with consumer behavior motivation. Consumer behavior is defined by the actions taken toward the consumption, purchase or rejection of a product. These actions are specific and intentional choices to make, refuse or delay a purchase. Conflicts arise from interactions and exchanges involved with the consumer decision-making process. As a consumer chooses to make a purchase, his motivations are activated. These motivations are an integration of thoughts and feelings, awareness and beliefs as influenced by his environment. Although actions are related to other conflicts in consumer behavior motivations, they should be observed as an independent factor. The reason for this stems from the theory that motivations can be simplified to a consumer’s need for a commodity, such as gas, baby diapers or water. In these cases, consumer behavior motivations are based more on basic need and availability, and less on beliefs or awareness. Conflicts due to actions can also be amplified by the need to feed comfort or self-esteem, such as through trendy car or clothing purchase. Consumer behavior is constantly evolving due to interactions and exchanges. They dynamic evolution process of consumer behavior involves a continuous cycle of cognitive evaluation, personal interpretation, knowledge comprehension and product selection. Conflicts in consumer behavior motivation are affected by these characteristics of the decision-making process. In order to design profitable businesses and marketing programs, these characteristics need to be continuously monitored and observed. The advantage of studying conflicts in consumer behavior motivation leads marketers to deliver and communicate more value to consumers in order to influence purchase decisions and minimize conflicting motivations. Since 1999, Christina Callaway has written and developed marketing communications programs for a range of small businesses, start-up ventures and Fortune 500 companies. She is also a speaker and trainer specializing in integrated communications.